Murakami has been a constant source of joy for me over the last decade. His Kafka-esque, surreal, multi-dimensional story telling scattered with allusions and references is like a tonic for your brain as he invites you into a world beyond the mundane confines we must deal with every day. Following Murakami’s labour of love, i.e. translate F. Scott Fitzgerald’s The Great Gatsby into Japanese, Killing Commendatore is more than a mere subtle homage to one of his favourite writers – it is a long declaration of love and adulation for Scott Fitzgerald’s oeuvre. The novel casts its web wide when it comes to intertwined narrative threads and never grows tired when it comes to explore ideas revolving around everything from art, to the dystopian brave new world we find ourselves in to classics like Don Giovanni and Alice in Wonderland. Following the lead of an unnamed narrator, we explore his claustrophobic tumbling down a myriad of rabbit holes pervaded by Murakami’s trademarked metaphysical plateaus that never grow tired to stage the next unexpected turn. 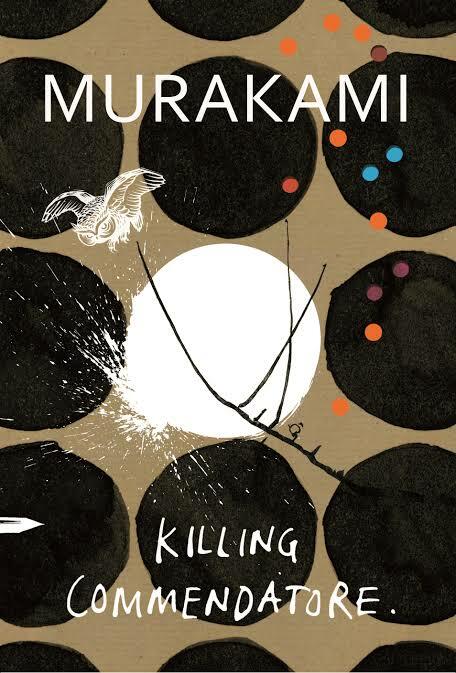 While for the faithful Murakami aficionado nothing ground-breaking new is proffered, his distinctive way of storytelling along with explorations of his pet peeves and riddled themes he feels passionate about is omnipresent throughout this literary emission. If you like Haruki Murakami’s previous novels, you will not be disappointed as Killing Commandatore is an extension of what he has become loved and known for with the merging of logic and riddles that allow for the magic to become apparent in the realistic depiction of the mundane.